I could link to a certain rage-inducing clickbait article shaming adults for reading young adult books, but why end the week getting pissed off again? Instead, why don't we make a list of completely awesome YA reads that we've enjoyed as adults? 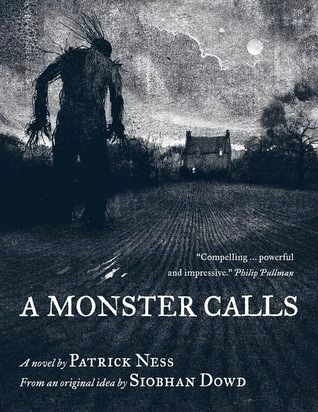 Perhaps they made you cry buckets and wish you had this book when you were a child, like A MONSTER CALLS by Patrick Ness. Or that completely gave you an escape in both a familiar and brand new setting, like CINDER by Marissa Meyer. From the heights of adventure and alternate histories, like Scott Westerfeld's LEVIATHAN, to romances that explore the exhilaration and also fear of taking that big leap, like KETURAH AND LORD DEATH by Martine Leavitt, YA lit will continue to have a treasured spot on my shelf, and not just because I have kids in the house. Thought-provoking or just pure fun, let us know your favorite YA reads. List them in the comments, on twitter @StellarFour, or drop us a line on our Facebook page. How about Angelfall or Daughter of Smoke and Bone? Umm... I could list so many YA books but some of my favorites so far are: Shadow and Bone by Leigh Bardugo, A Matter of Magic by Patricia C. Wrede, The Archived by Victoria Schwab, Throne of Glass by Sarah J. Maas, The Blue Sword by Robin McKinley, The Thief by Megan Whalen Turner, Legend by Marie Lu, Sabriel by Garth Nix, and Steelheart by Brandon Sanderson.